Life Company Consolidation Group (LCCG), which last year acquired AXA Isle of Man and rebranded it as Utmost Wealth Solutions, is to acquire Ireland-based Generali PanEurope, the companies announced today. According to Generali’s Trieste-based parent, the Generali Group, it will receive an initial €230m US$271m, £203.1m), plus interest accrued in the lead-up to the close, as well as a potential deferred consideration of up to €10m to be paid 12 months after closing, subject to possible adjustments. 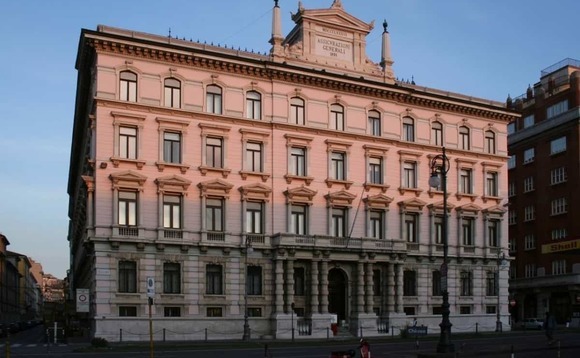 Generali will also receive approximately €56m as settlement “for certain inter-company financing arrangements, for total cash proceeds at closing of approximately €286m”, Generali said. The acquisition must be approved by regulatory and competition authorities and is expected to complete during the first half of 2018. Upon completion, Generali PanEurope (GPE) will be renamed Utmost PanEurope, and will adopt the Utmost Wealth Solutions branding, LCCG said in its statement announcing the deal. Once completed, LCCG the combined entity will be a €24bn wealth manager looking after individual and corporate clients in the UK, Europe and Asia from Ireland and the Isle of Man, as GPE’s wealth protection, investment planning and employee benefits businesses are combined with Utmost’s existing range of international savings, protection and investment products range. Generali said the sale of its Irish pan-European business was part of its group strategy of looking to “optimise its geographical footprint, increase its operational efficiency and improve capital allocation”. As reported, it announced in August that it was to sell its Panama operations to a regional insurance operator, ASSA Compañía de Seguros SA, and in September, its Dutch operations to ASR Nederland – a Dutch insurer that was created in the wake of the collapse of Fortis in 2008. LCCG group chief executive Paul Thompson said GPE was a “highly complementary business” to LCCG’s Utmost Wealth operation, and that the acquisition “demonstrates our commitment to the international life market”. “The combined business will be a formidable force in the European market for specialist cross border wealth management solutions,” he added. The announcement of the deal comes less than a week after Generali revealed that Cillin O’Flynn, one of its top Europe-focused life company executives, was relocating to Hong Kong to head up the Generali Hong Kong office as chief executive.